Taking Orders From Non-Radiologists? Not Me.  - ONRAD, Inc.
24 May Taking Orders From Non-Radiologists? Not Me. Diagnostic Imaging | I recently needed a leaking radiator removed from my home. The individual doing the job for me came well-recommended, and in fact had done two other high-quality jobs for me during the past few years. The task wasn’t a simple, one-step process; water-flow to the unit needed to be turned off, fluid within the radiator needed to be drained, and the pipes leading to it needed to be treated properly so they would eventually be useful in feeding the replacement-unit. While doing the job, the guy used multiple tools, kept a sharp lookout for signs of other potential problems, and was in constant communication with his assistant in order to coordinate their efforts. It reminds me of a sign that once adorned the wall of my father’s favorite auto-mechanic. The sign said: “Cost for labor: $25/hour. If you watch: $50/hour. If you help: $100/hour.” It’s common sense, really; I’m a skilled professional and you need me to do a job, so get out of my way and let me do it. Don’t slow me down by questioning my technique, and for pity’s sake don’t force me to use methods other than those I consider best for the job. Fortunately, there are a lot of doctors (and PAs, nurses, etc.) who recognize this, and completely abide by our judgment when it comes to protocoling studies. We hear the history and the differential diagnosis being considered by the clinician, and we apply the knowledge we learned during 5-plus years of postgraduate training to decide which modality is best, what type of contrast to give (if any), how many phases of scanning to perform, etc. There are also a decent number of clinicians who try to protocol their own patient’s exams, but will be reasonable if we suggest an alternate approach. Unfortunately, there are also more than a few clinicians out there who decide they want things done the way they want them, and that’s that. Some of them will cite articles from their specialty’s journals about why their way is better; others will just bristle at having their authority challenged and either raise their volume or threaten to make interdepartmental trouble. Needless to say, these folks do not proceed to interpret the study and sign their name to the report — no, now they want your expertise. I’ll grant you, if my heating-guy approached the leaking radiator with a plunger and a rubber chicken, I’d have some qualms. But otherwise? He’s my trusted professional, and until he starts screwing things up, I’m not hassling him for doing things his way.